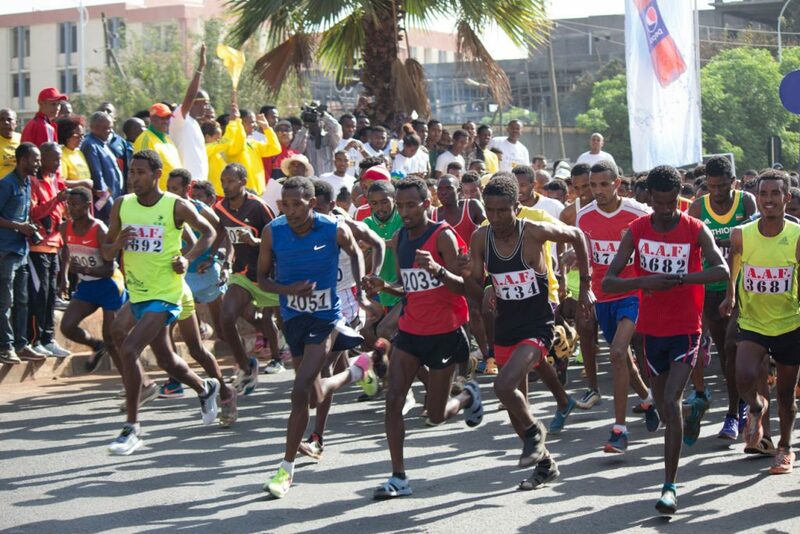 On March 11, 2018 JFA-PFE representatives along with thousands of Bahir Dar residents participated in the 7th round Bahir Dar City run. 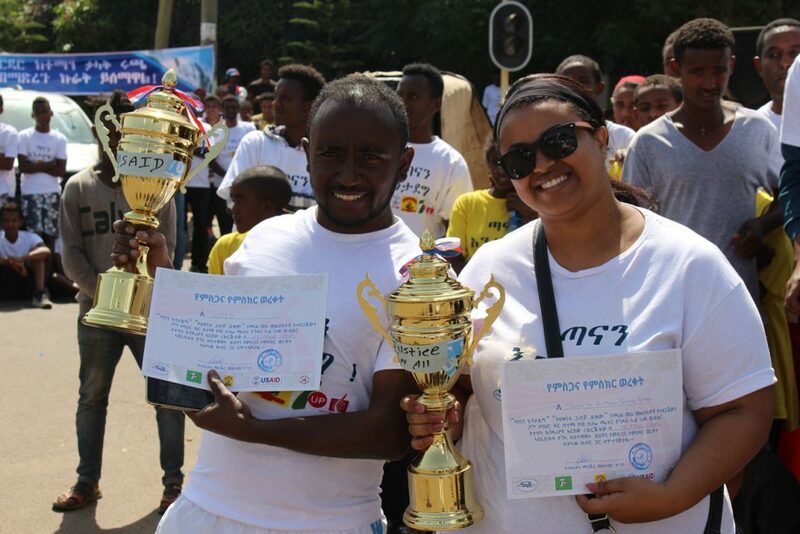 The annual 10 km run was organized by Athlete Melkamu Tegegn to raise awareness on ending a widely practiced child marriage in the region and a call for action to save Lake Tana from a weed that is currently critically affecting the water biodiversity and interfering with navigation, irrigation, power generation and fishery. Ato Ayenew Belay, Bahir Dar City Mayer, Ato Bilelegn Mekomiya, Ethiopia Athletics Federation General Secretary and Athlete Derartu Tulu and other invited guests were present at this great run. Ato Ayenew Belay in his opening speech indicated the impacts of child marriage on vast majority of Ethiopian girls and requested the participating runners to support the fight against this harmful traditional practice in any way possible. Amhara Television live broadcasted the run for three hours in which JFA-PFE took the opportunity to talk about the prevalence of child marriage and that everyone should actively work to fight this harmful traditional practice. JFA-PFE with the support of USAID Ethiopia has been working in selected Woredas of Amhara Regional State to prevent child marriage and FGM through awareness raising via public campaigns or trainings for different stakeholders.